Julie Pomerantz has vast experience successfully managing insurance related regulatory, compliance and transaction matters for single state, regional and national privately held and public companies. As a former insurance regulator, she brings a unique perspective to her law practice. 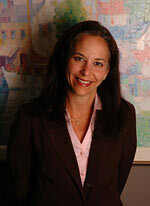 Her insurance department relationships across many states make her an effective advisor and trusted counsel. She represents clients on regulatory, compliance, corporate governance, risk management, transactions, business, and policy issues almost exclusively within the insurance industry. Represents insurance companies, related entities in all types of compliance issues, holding company issues, filings, and transactions, single or multi-state regulatory filings, financial examinations, investigations and enforcement proceedings. Advises clients on insurance holding company reorganizations, mergers and acquisitions, re-domestications, de-mutualizations, insurance company formations and multi-state expansions and manages the process. Strategic advisor to insurance companies, producers and surplus lines managing state regulatory relationships throughout the U.S. Counsels insurance clients on program business, and related contracts, product development and form/rate filings. Advises clients on policy and legal issues before state insurance regulators, including the National Association of Insurance Commissioners. Handles client matters of multi-state licensing/registration and merger and acquisition work related to producers, managing general agencies (MGA), third party administrators (TPA), utilization review organizations (UR), and other non-risk bearing insurance related entities. Counsels insurance companies and agents in the property and casualty lines, life and health lines, be it commercial or personal lines business, or be it in the admitted or non-admitted market.